As Vice President of Implementation Services for MRO, Rose oversees and coordinates activities related to successfully onboarding new clients to MRO’s Release of Information (ROI) platform. She has more than 20 years of experience in Health Information Management (HIM), with focused expertise in privacy and security. 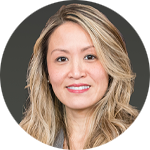 Prior to joining MRO, she served as Director of HIM Practice Excellence for the American Health Information Management Association (AHIMA). Rose is an active member of the American Health Information Management Association (AHIMA) and the Pennsylvania Health Information Management Association (PHIMA), where she is currently the Program Director. Rose is an established author and speaker on various HIM topics. She has served as adjunct faculty for the St. Petersburg College Health Information Technology and Health Informatics Programs in St. Petersburg, Florida, and served on its advisory board. She received her Bachelor of Science in HIM from the University of Pittsburgh and Master’s in Health Administration from the University of South Florida.